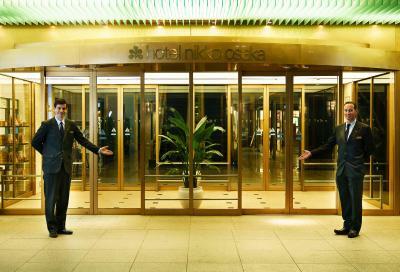 Lock in a great price for Hotel Nikko Osaka – rated 8.7 by recent guests! Location close to subway station makes for simple travel plans. Nice location opposite Daimaru department store, and close to shopping and restaurants. breakfast buffe is more than expected. especially continental breakfast has a variey of different food. The staff was excellent and the location is perfect. The room was much larger than the other hotels we’ve stayed at on our trip to Japan. We loved the service upon check in then didn’t like the small room so went back to upgrade our room and we loved the room! We had 4 large suitcases, n 2 carryons! The room and the king size bed was awesome! the hotel location is amazing, it is within walking distance to many eateries, cafes and shopping! the subway station is literally connected to the hotel, it is extremely convenient. Location is just across the street from Shinsaibashi. Lots of restaurants and shopping around the area. Right at the train station. Bed is exceptionally comfortable. 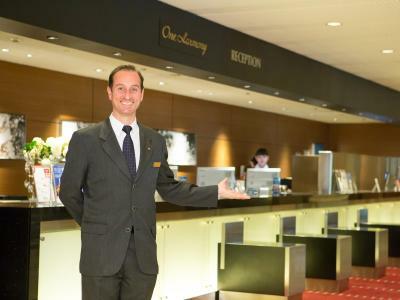 Hotel Nikko Osaka This rating is a reflection of how the property compares to the industry standard when it comes to price, facilities and services available. It's based on a self-evaluation by the property. Use this rating to help choose your stay! 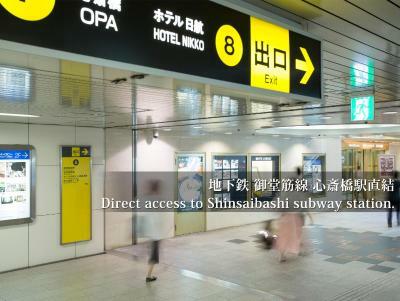 Hotel Nikko Osaka is directly connected to Shinsaibashi Subway Station. 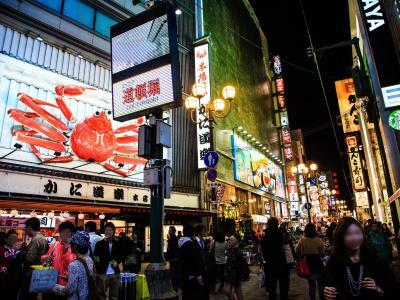 It is centrally located within easy access to shopping areas, restaurants and the Dotonbori area. 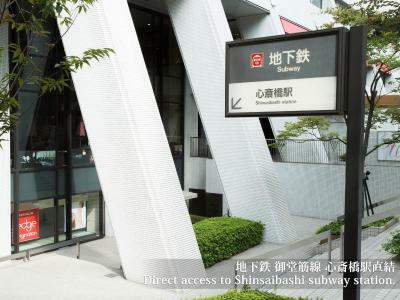 It is also located directly across the street from Daimaru Department Store. Each spacious air-conditioned room is equipped with an LCD TV, a fridge and a sofa. Free WiFi is available in the entire property. Hotel Nikko Osaka faces the famous tree-lined Midosuji Avenue, the city's main street with numerous shopping and leisure opportunities. Shin Osaka Station is a 12-minute subway ride away, while Kyocera Dome is 5 minutes and Osaka Castle is 10 minutes on the subway. 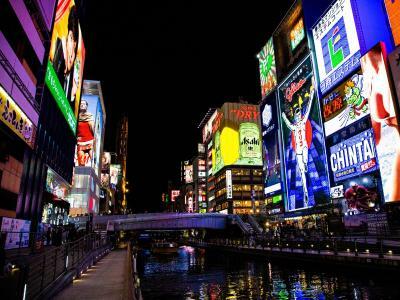 Dotonbori area is a 10-minute walk, and Namba Station is a 15-minute walk away. An airport limousine bus service is available to Kansai International Airport for an extra fee. 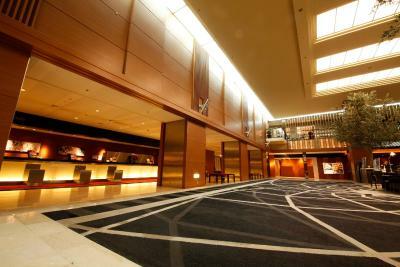 The hotel is located at a 30-minute train ride away from Universal Studios Japan®. Guests can purchase 1 Day Studio Pass at the front desk. 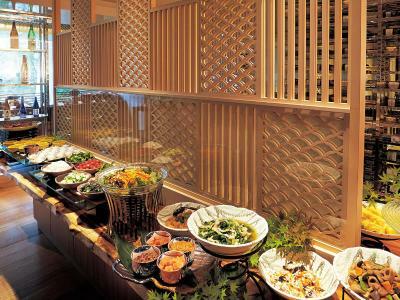 Guests can enjoy from a variety of meal choices including Japanese, Chinese and French cuisine at Hotel Nikko Osaka. 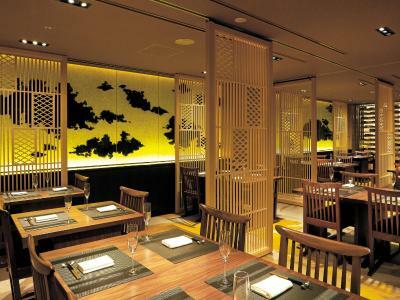 The lounge on the 31st floor features beautiful views of Osaka city, while a traditional and healthy Japanese-style breakfast buffet is served at Japanese restaurant Benkay. 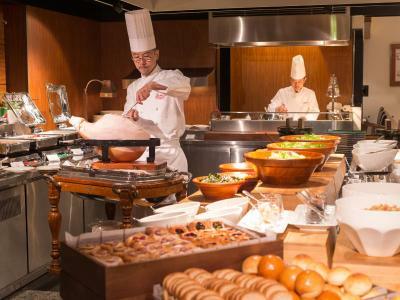 Cereal, bacon and salads are served at restaurant Serena. 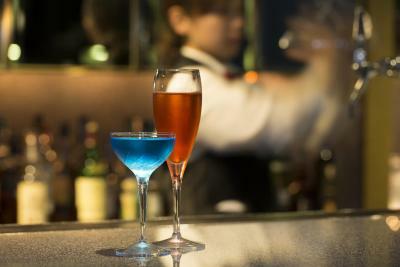 When would you like to stay at Hotel Nikko Osaka? This air-conditioned double room features a Simmons bed and sofa. The room comes with a flat-screen TV, air purifier/humidifier, electric kettle and mini-bar. Private parking is available on site (reservation is not needed) and costs JPY 1400 per day. This air-conditioned double room features a sofa and features a Simmons bed. Rooms come with a flat-screen TV, an ion air purifier/humidifier, and a T-fal electric kettle. This air-conditioned small double room features a sofa and features a Simmons bed. Rooms come with a flat-screen TV, an ion air purifier/humidifier, and a T-fal electric kettle. This air-conditioned twin room features a sofa and features Simmons beds. 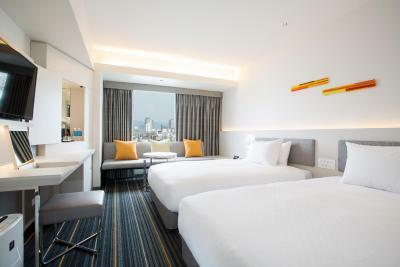 Rooms come with a flat-screen TV, an air purifier/humidifier, safety box, mini-bar and nightwear. Please note an extra bed is not available. This triple room has a electric kettle and air conditioning. This single room features a cable TV, air conditioning and electric kettle. This single room has a flat-screen TV, air conditioning and electric kettle. This double room features a electric kettle, mini-bar and satellite TV. This double room has a electric kettle, cable TV and mini-bar. This double room features air conditioning, sofa and flat-screen TV. Newly renovated in 2016, this twin room features 2 king size Simmons bed and a seating area with a sofa. Comes with a spacious bathroom. This room is located on high floors with stunning views of the city. This double room features 1 king-sized Simmons bed, seating area and sofa. 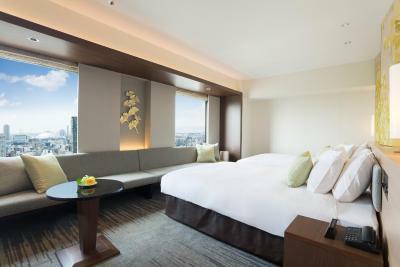 This room comes with a spacious bathroom and is located on high floors with stunning views of the city. This twin room has a flat-screen TV, sofa and air conditioning. This twin room features 2 king Simmons beds and a seating area with a sofa. This room is located on high floors with stunning views of the city. Guests will find a spacious bathroom. The 3rd guest will be accommodated on a stacked Simmons bed, when the booking is made for 3 people. This double room features a king Simmons bed and a seating area with a sofa. This room is located on high floors with stunning views of the city. Guests will find a spacious bathroom. This twin room features a sofa, electric kettle and air conditioning. This triple room has a electric kettle, mini-bar and air conditioning. This suite features beds with Simmons mattresses that are 55 in wide and a sofa. The room is equipped with a Nescafe® coffee machine, BOSE speakers and a private bathroom. This suite features a mini-bar, air conditioning and flat-screen TV. This suite has a mini-bar, satellite TV and air conditioning. This double room features a cable TV, air conditioning and electric kettle. This twin room has air conditioning, flat-screen TV and electric kettle. This triple room features a view, electric kettle and satellite TV. This double room has a sofa, cable TV and seating area.